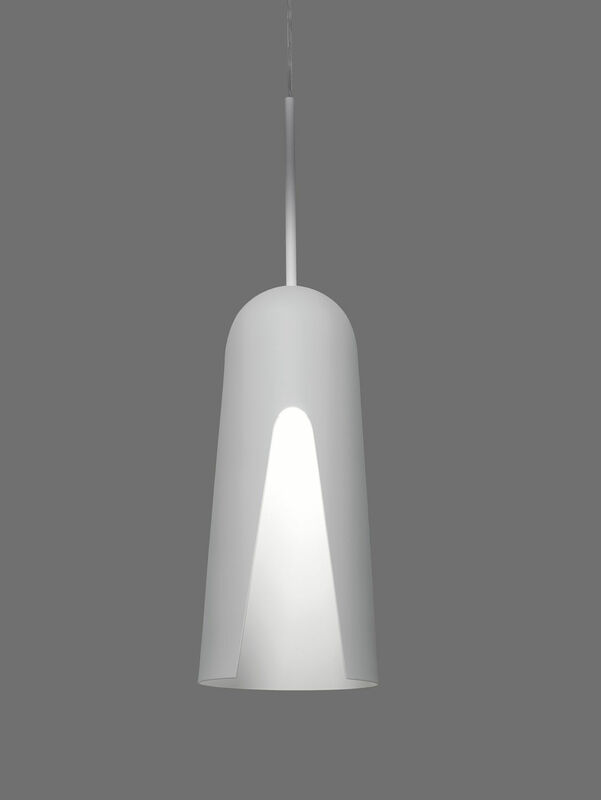 Collection of suspensions and wall lamps with aluminum shade. 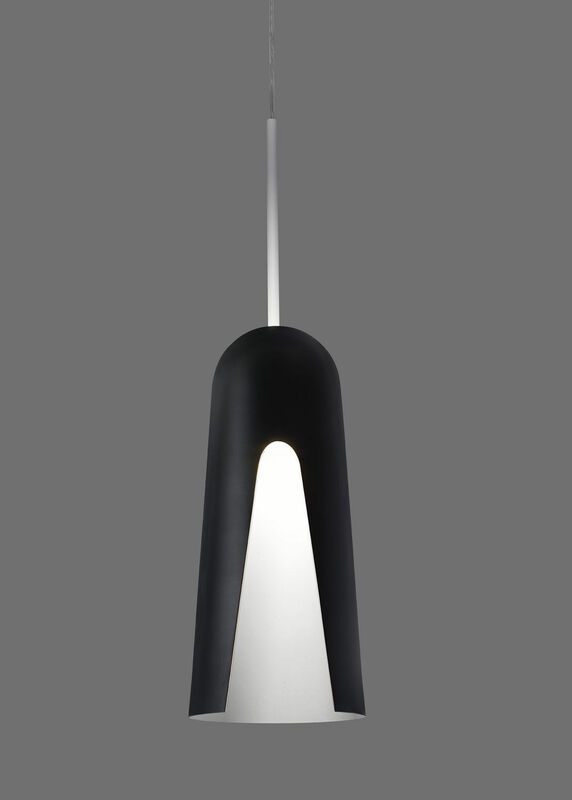 The shape is characterized by the particular side cut that put into evidence the internal finish. 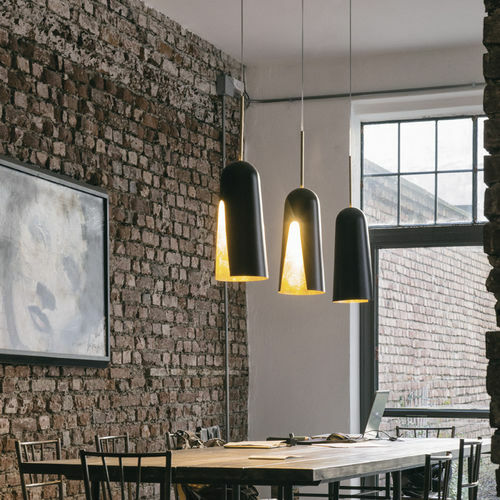 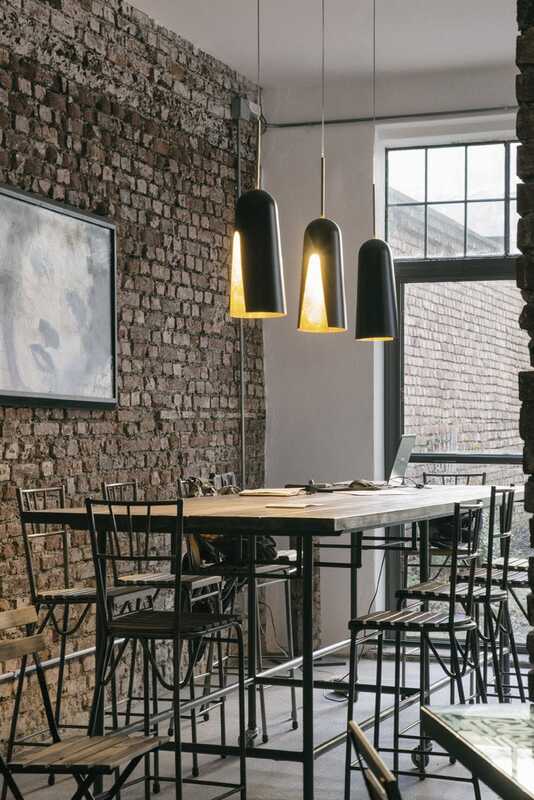 Suspensions are available in two sizes with screw socket that allows the choice among a wide variety of bulbs. 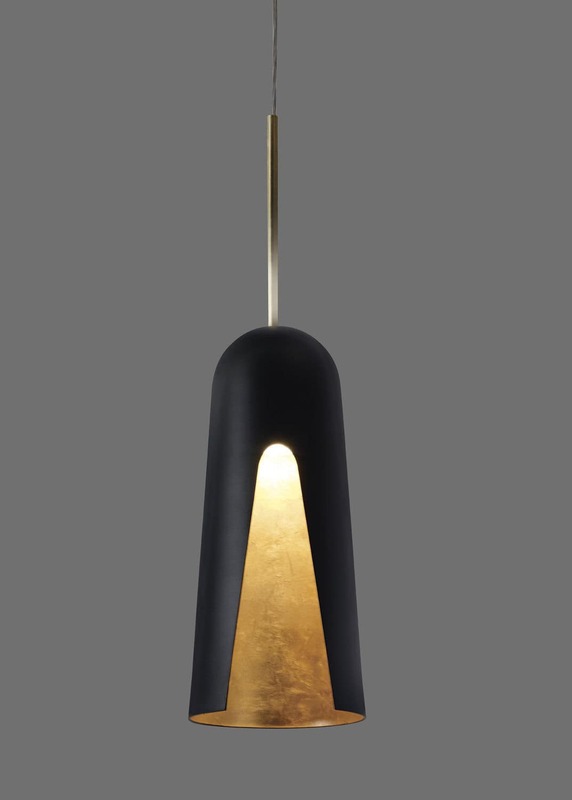 The wall sconce is only available in the smaller dimension with an integrated COB LED and driver.